ISB is an inclusive school designed to meet the needs of all learners. Students with educational needs will be supported to the fullest extent possible so that all can experience consistent success. With regard to admission, applicants are required to disclose their child(ren)’s known educational needs, medical conditions, or special requirements. ISB retains the right to end collaboration with a family if a student is found to have undisclosed needs that we cannot support at school, or that prevent the student from functioning within ISB’s inclusive structure. 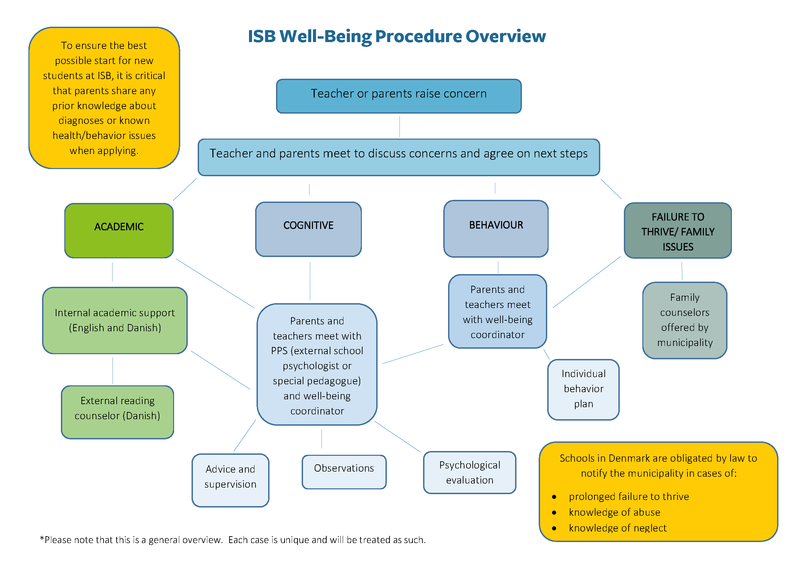 When a student has special educational needs, ISB’s well-being coordinators will provide expertise to teaching teams as needed. If in-school support is not sufficient, we are able to call on external agencies, including the municipal Pedagogical Psychological Support (PPS), for additional help. The below overview and much more information can be found in our Inclusion Policy.